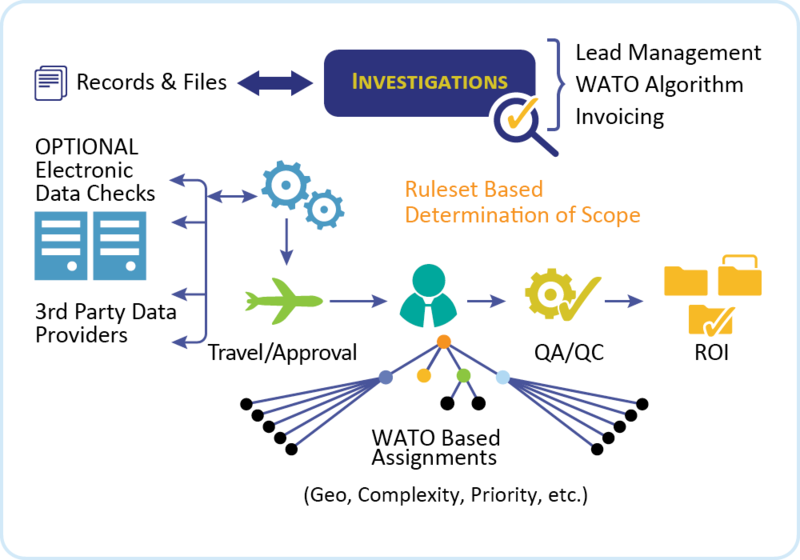 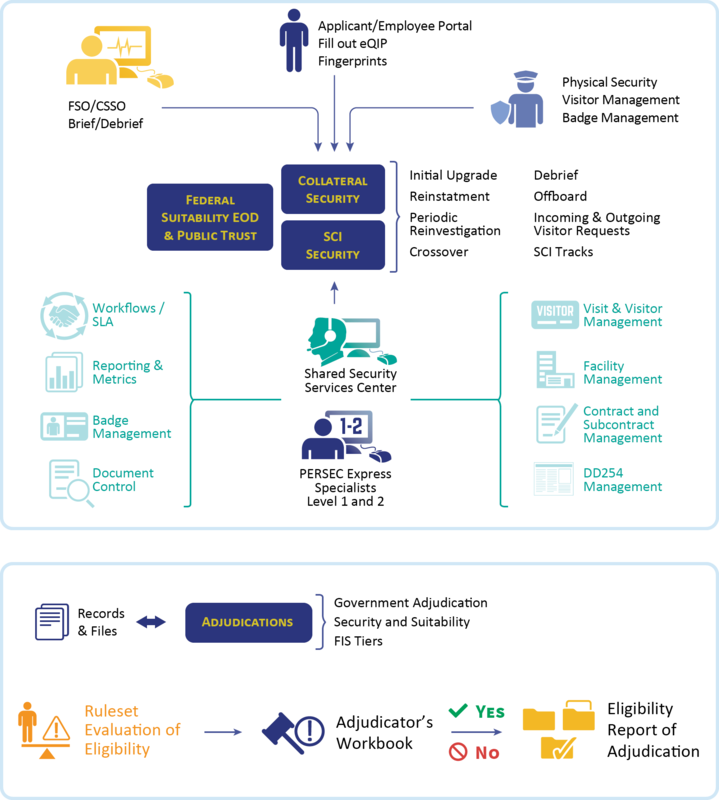 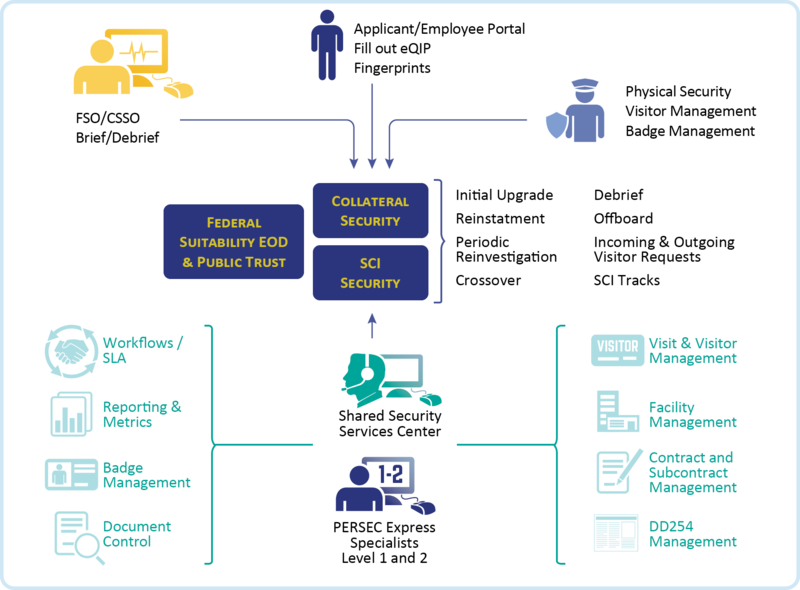 Gone are the days of the Security Team being identified as the bottle-neck in candidate on-boarding and obtaining Entry on Duty (EOD). 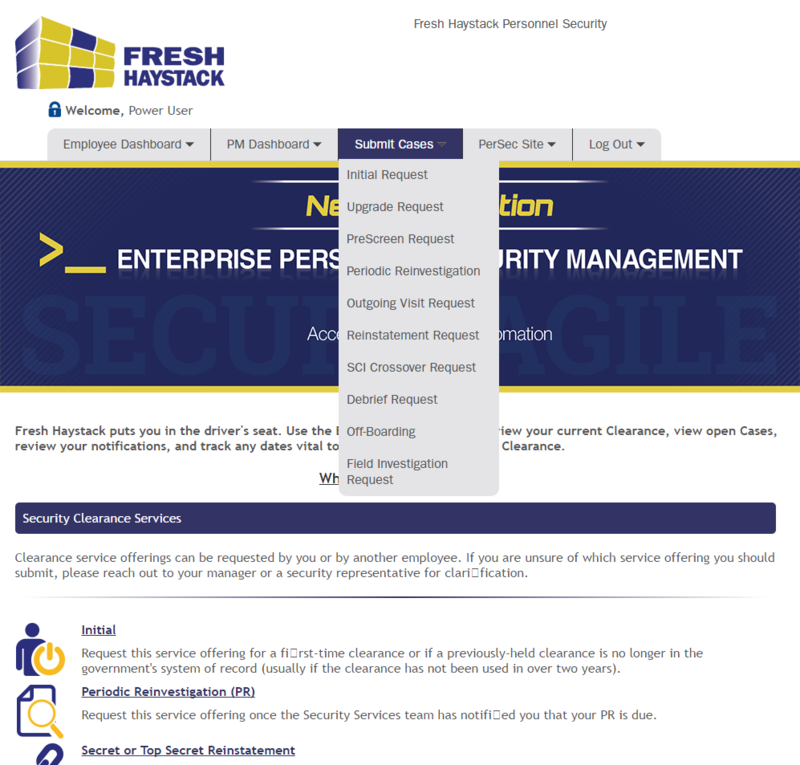 Fresh Haystack automates and accelerates the entire personnel security process and delivers a fast Return on Investment (ROI) that your Security Organization can bring to your company’s bottom line. 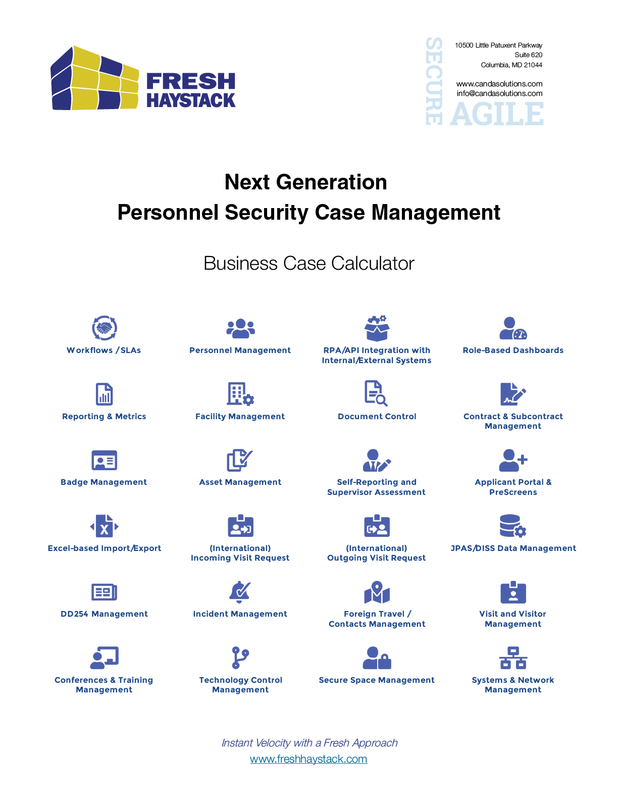 Download the FREE Business Case Calculator!